GregBeaman has just released the updated version of it’s popular iPossessed app for iPhone, iPod touch and iPad. iPossessed 1.3 makes you have a great fun by offering the way how to scare people. Now how it works. App includes frightening voices and screams which can be adjusted beforehand to go off on timer and when the person touches the device it works! The demonic application needs a few tapped selections of spirits, demons and creepy sound effects and the iPhone turns into scare machines. Users can even employ the "Cry Wolf" mode as bait to lure in unsuspecting victims, who will pick up the device and then get their pants scared off. 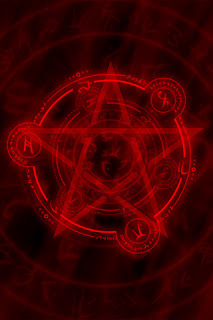 Additionally, iPossessed includes a selection of pentagrams and makes available to post the experience on twitter. With the new updates, you’re able to set their iPhones to vibrate maniacally and make people jump out of their skin. iPossessed 1.3 is only $0.99 (USD) and available worldwide exclusively through the App Store in the Entertainment category.